meghan eats local: Meghan Drinks Local: Juice Week! Meghan Drinks Local: Juice Week! This week, Meghan Eats Local will become Meghan Drinks Local, as I focus on three awesome raw juice bars I’ve recently discovered. I make a lot of juice myself at home, but after finding myself in a bit of a recipe rut (a girl can only drink so much beet juice), I decided I needed some inspiration. Since pressed raw juice is absolutely delicious, establishments dedicated to creating and selling it are popping up all around southern California. I am not sure why pressed raw juice is just becoming cool now. It seems like it should have been one of the very first cool things, when the first snarky cool kid demonstrated his worth to his community of hunter-gatherers by crushing the hell out of a mango. But, like stand-up paddleboard yoga, some seemingly obvious things take a surprisingly long time to catch on (seriously, what could go wrong?). And hey, when you need a pick-me-up during the day, fresh juice is clearly a much better option than, say, a chocolate bar you found kind of melted into the lining at the bottom of your purse. Pressing the juice out of produce (rather than grinding it) keeps vital nutrients, minerals, and enzymes from oxidizing. All the good stuff stays in the juice and when you drink it, your body can absorb it quickly. 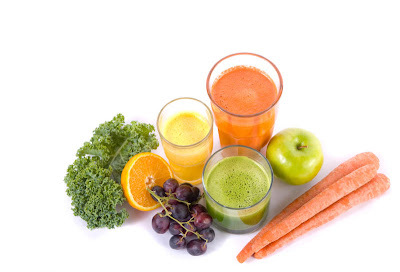 The raw fruits and vegetables are pulverized into a pulp, from which juice is then crushed. About three pounds of produce yields one bottle of cold-pressed juice! The “cold” part just means the juice is “raw,” in that it hasn’t been heated above 105 degrees Fahrenheit. People who commit to a raw diet won’t consume anything that’s been cooked, and that can be difficult and limiting – so raw juice is a great option for those of us who don’t want to grow dreadlocks or figure out how to make our own pasta out of shredded zucchini. I’ll be covering three juiceries that use fresh, raw, locally sourced ingredients. Reviews to come over the next week! This week, “drinking local” doesn’t mean getting tipsy on wine tastings.